It's not easy being a K-9 officer. These dogs face many dangers working with their human partners. As a matter of fact, more K-9 patrol dogs are killed by bullets than by any other means, and that's what inspired Active Care Dog Food to launch their "Protect A Hero" program. LoveToKnow Dogs recently spoke with Breeder's Choice Marketing Director Donna Holick to learn more about the program, and what we can do to help. Please introduce our readers to the "Protect A Hero" campaign and explain for us how it works. Gunshot wounds are the biggest threat to dogs that perform police work, so the staff at Active Care Dog Food decided to find a way to help. The result of that desire is the "Protect a Hero" Program. Can Mature Dogs Learn New Tricks? "Protect A Hero" is a consumer driven program designed to provide law enforcement K-9's with much needed bullet proof vests. Funds generated through the sale of specially marked 30 pound bags of Breeder's Choice Active Care brand dog food will be used to purchase vests for eligible K-9 patrol dogs. Breeder's Choice will contribute $1.00 to the program for each bag sold, and our goal is to purchase at least 100 vests for distribution. 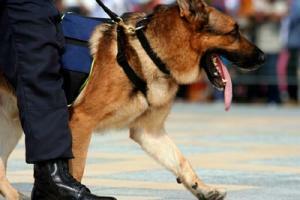 How can patrol dogs qualify to receive a vest? Police officers may enroll their canine counterparts in the program by signing up to receive a free trial package of Active Care Dog Food, including dry kibble, canned food, and Chews & Biscuits to test feed their dogs.Enrollment also gives these officers the opportunity to participate in a discounted feeding program, and makes their dogs eligible to receive free vests from sales of the product. It's our goal to award vests to K-9 teams in need across the country. Will the proceeds be given directly to the law enforcement agencies, or is the program carried out some other way? Breeder's Choice will actually purchase the bullet-proof vests and award them to qualifying K-9 Patrol teams across the country, free of charge. Which pet food retailers are involved in promoting the program? PETCO is probably our biggest participating retailer, but there are a number of independent pet retailers also involved in the campaign. You can find a retailer in your neighborhood by using our store locator at Breeder'sChoice.com. 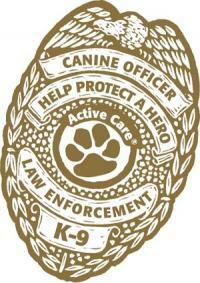 Now that we have a working understanding of the "Protect A Hero" program, tell us more about Active Care Dog Food. Active Care Dog Food, and other products in the line contain natural chicken cartilage, offering higher levels of unprocessed chondroitin and glucosamine than other brands on the market. This combination is the best all-natural product available to develop, maintain and repair a dog's joints. All Active Care products are made with a specially patented process and are veterinarian recommended. Both dry and canned foods are available in Chicken & Brown Rice, or Lamb & Brown Rice formulas.